Cricket Australia (CA) selectors announced a 13-member squad for next month’s one-day international series against South Africa at home, scheduled to take place from November 14-23. 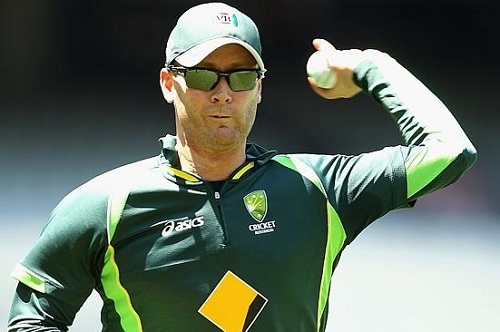 In the squad for the first two matches, the Michael Clarke-led Australian side sees the exclusion of spin duo of Nathan Lyon and Xavier Doherty, apparently keeping in mind the dynamic nature of the pitches Down Under. The fast-bowling department is spearheaded by Mitchell Johnson, and has the likes of Kane Richardson, Nathan Coulter-Nile, Josh Hazlewood, and all-rounders Shane Watson and Mitchell Marsh. The batting department boasts skipper Clarke, Aaron Finch, David Warner, wicket-keeper batsman Matthew Wade, Glenn Maxwell, Shane Watson, Steve Smith and Mitchell Marsh. “At this stage, the squad is only for the first two matches of the series and balances out player preparation for long and short form cricket as we build into a big summer,” ESPNCricinfo quoted Australia’s national selector, Rod Marsh, as saying. SQUAD: Michael Clarke, David Warner, George Bailey, Shane Watson, Aaron Finch, Josh Hazlewood, Mitch Marsh, Glenn Maxwell, Kane Richardson, Steve Smith, Matthew Wade, Mitchell Johnson, Nathan Coulter-Nile.